'A Bedouin kid who doesn't know any Hebrew won't be able to go to college,' says Agriculture Minister Uri Ariel. 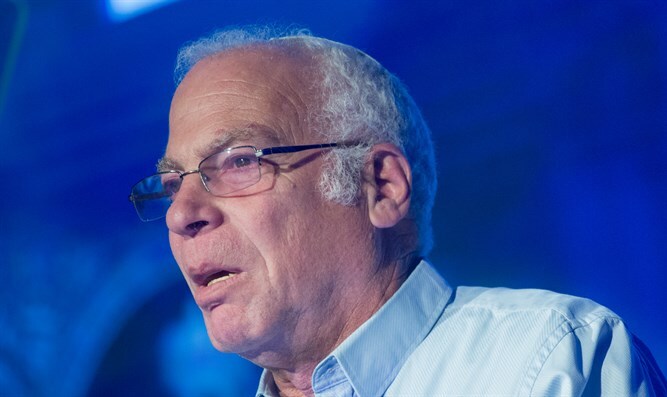 Agriculture Minister Uri Ariel participated Thursday in a conference held by the Agriculture Ministry’s department for socio-economic development in the Bedouin community in the Negev. During the conference, Minister Ariel and local authorities discussed the effectiveness of previous efforts aimed at improving the quality of life in the Bedouin sector, and set future goals for development in the Negev’s Bedouin community. While discussing the issue of education in the Bedouin community, Minister Ariel emphasized the importance of incorporating Hebrew studies into local curricula, arguing that without a strong background in the language, Bedouin students would be unable to thrive in higher education and today’s information-driven economy. Ariel also urged local Bedouin leaders to lobby on behalf of the establishment of a new international airport in Nevatim. The government is currently weighing possible locations for the new airport, and has recently adopted the Defense Minister’s suggestion of the Ramat David airbase in northern Israel. The Agriculture Minister said the establishment of a new airport at site of the Nevatim airbase would lead to improved infrastructure in the area, and create a large number of jobs, benefiting local Bedouin communities.